Cinnamon is one of my favorite flavors, and it reminds me of fall, and all the coziness that comes along with that season. 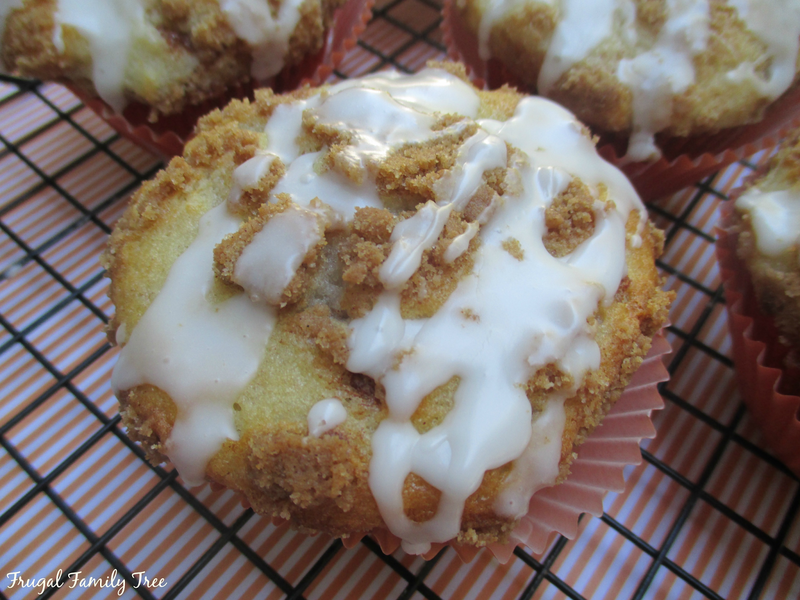 These great tasting muffins are topped with a cinnamon streusel and powdered sugar glaze that will make your morning start off on a happy note. Besides tasting so yummy, they are super easy to make. They are made with Bisquick Mix, that old favorite from so long ago, and one my mother always had in her cupboard. I grew up with pancakes, muffins, waffles, and more made from it, and I am actually a bit nostalgic about it. 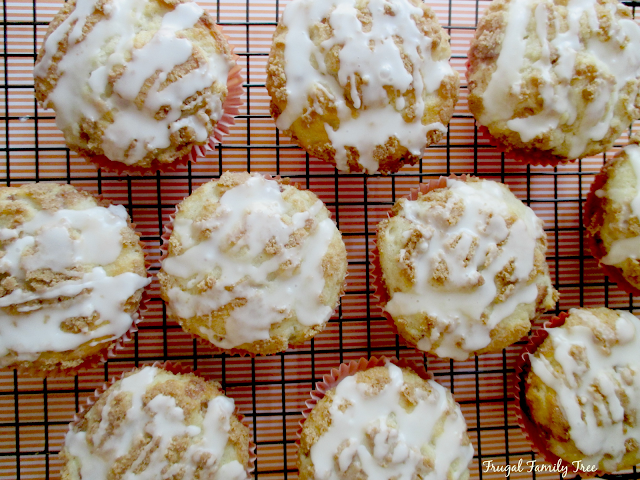 I do enjoy baking from scratch, but sometimes I pull out the Bisquick for an easy recipe like these muffins. And if you have any left over, a quick 15 seconds in the microwave makes them totally fresh allover again. Preheat oven to 375 degrees. Line a cupcake pan with paper liners. In a small bowl, mix together streusel topping ingredients until crumbly. Set aside. In a medium bowl, mix muffin ingredients until well blended. Spoon into paper liners, about 2/3 full. Sprinkle with topping. Bake 18-22 minutes or until golden brown. Let muffins cool before glazing. To make the glaze, mix the tablespoons of milk and powdered sugar together in a small bowl until smooth. Drizzle glaze over muffins and let set before eating. I posted this last year, and it was a favorite, so I'm sharing it again. Enjoy! !